Esther – a headstrong girl who rejects the constraints of a ravaged world until she learns that the cost of friendship and love is responsibility. Skar – sensible, loyal, and a formidable hunter, Skar is a variant and Esther’s best friend. Though born a hermaphrodite, she identifies as female and will fall deeply in love with another girl. Joseph – uneasy with emotions and physical touch, he loves books, maps, cats—and, in his own way, Esther. Eli – stalwart, well-meaning and awkward, he harbors an abiding love for Esther that will curdle into bitterness when he’s rejected. Levi –smart and addicted to power, Levi is an expert at manipulation and merciless when confronted… or betrayed. Michal – Levi’s beautiful and fun-loving girlfriend, she will nearly be destroyed by him and will later be drawn to another outcast, Skar. Aras – After being attacked and blinded on an earlier job, the guide hides his competence and goodness behind cynicism and marijuana smoke, depending only on his savage guide dog, Pilot. Ina – Head of the adults in Mundreel, Ina is kind, strong, and wise… or so she seems to Esther, desperate for a mother. She draws in the hapless girl with a warmth that disguises her darker intentions. “When the sun rose, Esther saw that Prin was gone. Most of the buildings on Main Street had vanished, replaced by piles of rubble and skeletons of frames that still drifted dust. The few storefronts left standing were in precarious condition, with bent metal rods protruding from fallen roofs. Glass from windows had exploded onto the sidewalks, crunching underfoot in glittering shards. The crack that ran down the center of the street had opened into a jagged chasm. Long-dead cars that had been parked along the street had fallen in completely or stuck halfway out like toys, their hoods and windshields smashed. The writing duo of Susan Kim and Laurence Klavan brings the sequel to the thrilling Wastleland Series in Wanderers. Continuing the struggling story of Esther in a world that is desolate and very dangerous, she and the other occupants of Prin decide to leave in search of a rumored place that has all the food and water one could possibly want. This journey is sure to test their will and determination. Esther, Caleb and the group will risk everything. Have they chosen the right path? Will this expedition bring forth promise of a better life at its destination? The road ahead of them is uncertain and they will soon find out if leaving Prin was the right choice. The world that Kim and Klavan has created is filled with vibrant imaginings. Scenes from a dystopian novel will always call for the inconceivable. However, each scenery is laced with sharply written description that visualizing its landscape of a world in decay becomes a simple task. The voices of the characters are very mature. The world these teenager are living in are harsh and hostile and it adjusted their way of thinking, meaning each decision is calculated. The plot is certainly exciting and highly thrilling. The actions will have readers glued and will have them guessing what to expect at each turn of the page. Thrown in are several plot twist that will unquestionably leave readers gasping. 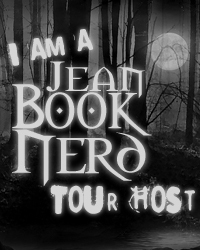 Some of them will blow minds and some will get readers heated up. No matter what is contained in this book, it was solid through and through. Just like how the first book administered a firm grip, the sequel continues the tradition and tightens it up a bit more. Kim and Klavan’s writing style will raise interest levels to its peak. 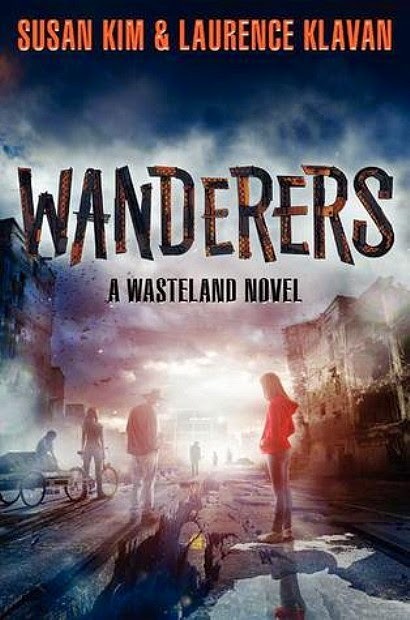 Wanderers is a well-written sci-fi dystopian novel that will not fail to satisfy. Thank you SUSAN AND LAURENCE for making this giveaway possible. 1 Winner will receive a Copy of Wanderers by Susan Kim and Laurence Klavan.